Twaxing is so hot right now. One scroll down Instagram's cannabis hashtag and you'll see image after image of fat joints caked in wax and coated in kief. 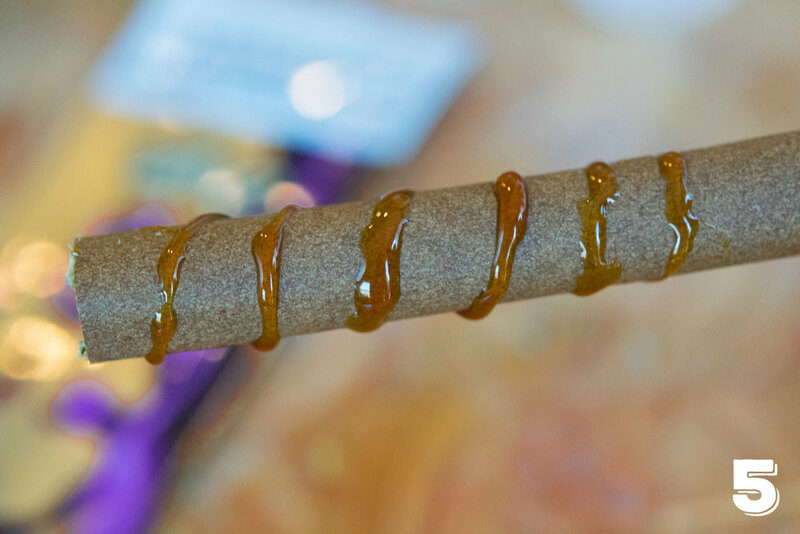 So today we'll teach you how roll a fat 420 twax blunt. 1. Get Your Materials: For this twax blunt we used Zig-Zag wraps, SeaTown Lemon Haze flower, Cascade Connie wax processed by Omega Concentrates, SeaTown Lemon Haze CO2 oil processed by Pearl Extracts and kief leftover from our medical days. 2. Prepare Your Flower: A surefire way to ruin your blunt is with stems, so thoroughly grind all flower before rolling it up. We used almost two grams for this blunt. Next you'll want to sprinkle wax on top of the blunt. Our Cascade Connie wax crumbled nicely. 3. Roll it Up: Roll up your blunt, lick and seal. 4. Select Your Wax: We chose Pearl Extracts' CO2 oil for this blunt, but you can also use wax. Our only suggestion is to use a stickier wax, so the kief will adhere. 5. Twax On: Using a dab tool, we created this oil spiral around the blunt. Additionally, you can use your fingers to roll out a thin rope of wax, then wrap it around the blunt. This step is a little sticky, so make sure to have soap and water available after. 6. Coat it in Kief: Here's the fun part. Coat that blunt in kief! We rolled the blunt thoroughly so every wax spot is covered. 7. 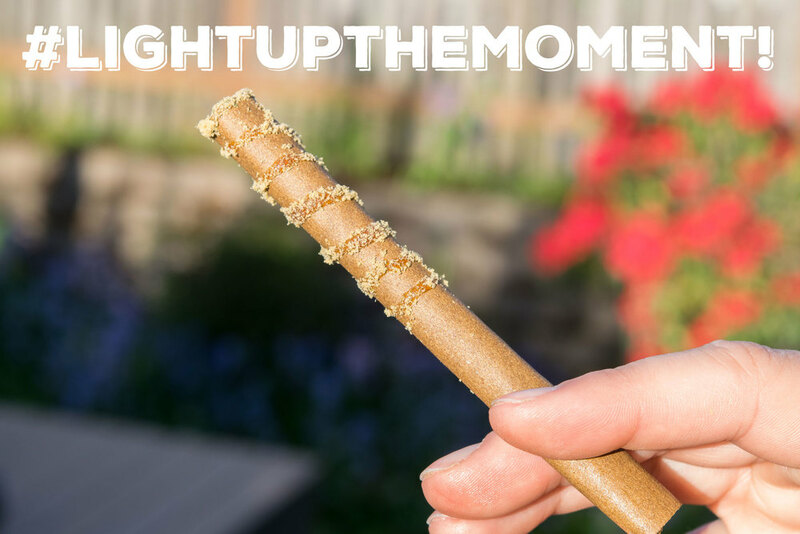 Light Up The Moment: Your twax blunt is complete, now it's time to light up the moment with friends. We can't wait to smoke this beauty by Green Lake with friends tonight. Happy 420 everyone! Who else is rolling twax joints or blunts? How do you #LightUpTheMoment?